Speed and class will again be featured at Meadowlands, this weekend with the Presidential and Complex series highlighting the program on Saturday, Jan. 21. 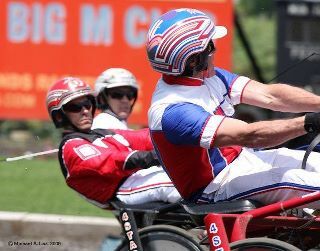 Woodbine becomes a TwinSpires player’s dream with all of its trotters and pacers, including features that include the Willowdale and Snowshoe series’ finals. Read below about the features and the players’ bonus for Saturdays in winter. At Cal-Expo, we go at it again, trying to take the biggest chunk out of the no-takeout Pick- 4 pool. It’s Presidential season in a big way again on Jan. 21. As Republican stalwarts duke it out in South Carolina, the Meadowlands sends out fiery older pacers in a pair of divisions of the Presidential’s second leg for 2012. There is a strange angle you may explore in the second of the two divisions. Last week’s pair of winners, Golden Receiver and River Shark, both soaring to wins in 1:48 and 1:48.4, respectively are in this division. So is a horse named Artist’s View. We picked this guy in the Breeders Crown when he was a sophomore colt. He won and paid over $80 (watch that race by clicking here). He won because he was able to sit cold as two of the fastest colts of the season fired at one another and burned each other out. Where? At the Meadowlands. So we know that the speedy duo will be going at one another. That is only good news for Artist’s View and a chance at an upset worth a few bucks. In the first division there might be no money to make on Annieswesterncard, who just lost as the choice last week to one of the speedsters mentioned above. Along with two-for-two Silent Spring, there may be a worthy exacta but you will have to be the judge of the value. Another two divisions for five-year-old-and-under pacers with conditions make up the Complex this week. In division one, as the program begins, we’ll take a shot with Mark Ford’s Nathan Feelsgood. Ford may have this one primed for a good second mile of the year after getting one under his belt. 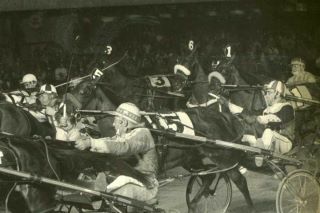 This one’s sire liked the Meadowlands as an older pacer as an added factor. The second Complex mile is a baffling event with about a thousand possible scenarios. I would be happy passing this one, where the favorite, Itrustyou, looks for an obvious second win in two outings this year. Saturday, Jan. 21, Woodbine offers another look at some recently turned four-year-olds in the $100,000 Willowdale Final for pacers and the $50,000 Snowshoe Final for three- and four-year-old pacers. The 12-race card, however, will launch a Saturday series of specials for TwinSpires bettors at the Ontario oval. TwinSpires and Woodbine offer 10X Club Points every Saturday. Cash a $10-win ticket on any race in the program and start earning points. For details, click here. And watch our Twitter account for late possible contenders at great prices on the bonus-point evening. In the Willowdale, our two-time winner Mystician may not offer the prices he has in legs one and two. Also, with Westwardho Hanover getting a better post, we can expect heavy wagering going his way. Thus, the one great contender that could get away from the crowd is Audreys Dream. Although he drew the 9 hole, Warrawee Nonsuch may surprise in the Snowshoe. He raced far better than 8-1 to get into this field and is on target to improve. It’s something he can do in this minor event where a good trip by an outsider can turn the tables on any of the favorites. (4) Take No Prisoners was second off of a strenuous trip and may find an easier one the route to the winners’ circle. (6) Gutsy Winds Ahead was a beaten favorite last week and can rebound to win it late. (3) Franco Smoothie N continues to flirt with a longshot win. Last week he showed speed and was short at 10-1. He may go all the way here. (4) Muzhik Hanover is hitting his best stride and picked up the place at 11-1 in his recent outing, a mile warning that he is getting back into winning shape. (3) KD Rowdy One had an easy trip at 7-2 but was not filled with pace late. We cannot let that deter us from using only him in leg three, arguably the weakest of the quartet.